My Rustic Industrial Baby Boy Nursery is coming along, and one thing that is a must with any nursery is a well stocked changing table or diaper cart! You can never be over prepared for a new baby, and I love having everything organized and ready. 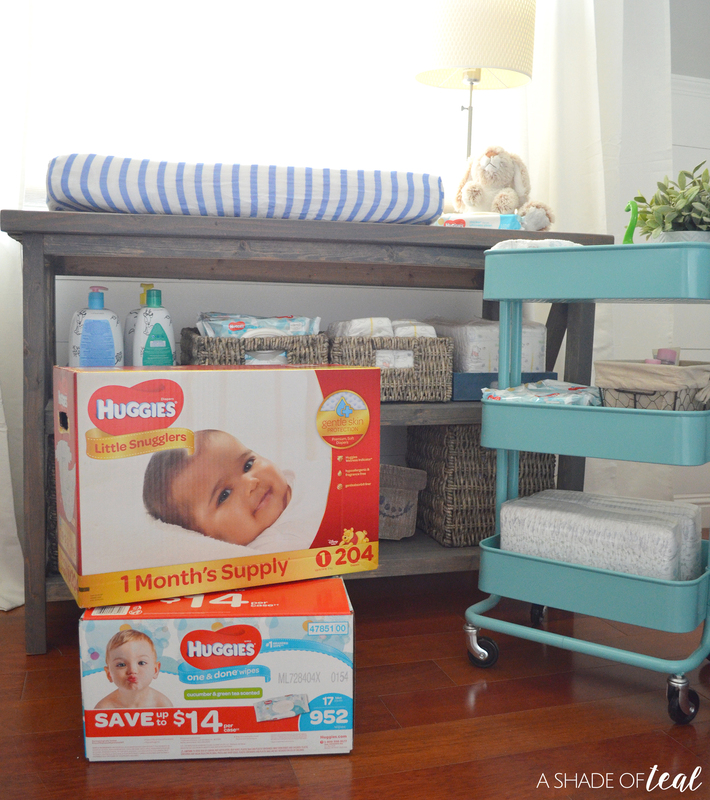 Whether you have a changing table, a diaper cart, or even a shelf, gathering all the essentials for a new baby is a must. 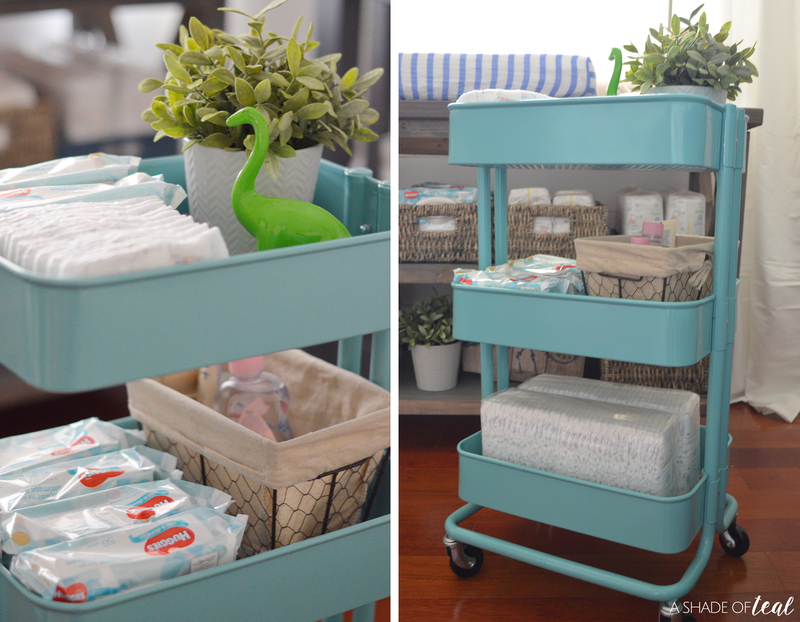 For my nursery I have both a changing table and diaper cart. 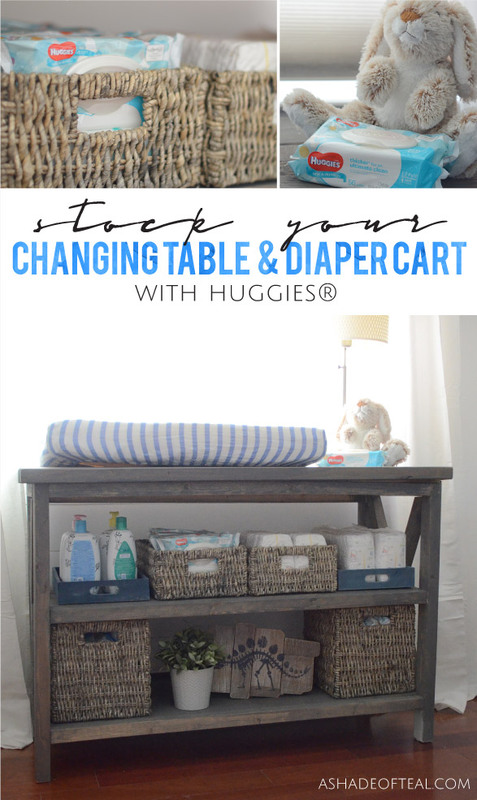 I’ll show you how I stock it up with the essentials including Huggies® Little Snugglers & Huggies® One & Done Wipes from Sam’s Club. 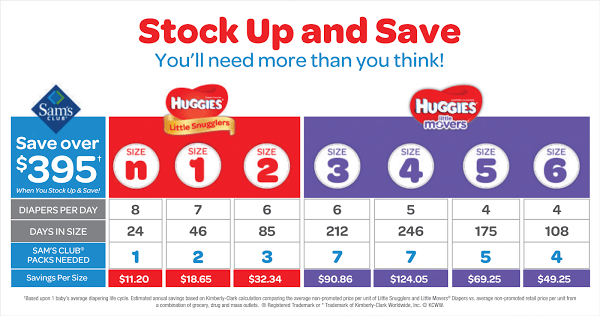 Want to shop these Huggies® products? Hover over the photo below to click through and purchase the items. When it comes to stocking up, I always prefer shopping at Sam’s Club. The benefits of being a Sam’s Club member are great! You always get more bang for your buck and the amount of diapers and wipes for the price is amazing. Check out the below diaper chart and you can see the savings for yourself! Basket or bins to help store everything in. Huggies® One & Done Wipes, they’re the #1 branded baby wipe! Huggies® Little Snugglers, they help keep your newborn’s perfect skin clean and healthy. Extra bath time soap & shampoo, or really any extra supplies. A toy or stuffed animal; as your little one gets older this is great to have on hand to help distract while it’s changing time. Finally, some cute nursery decor! I like to have a basket full of diapers ready to go, then I store the rest of the diapers close by. 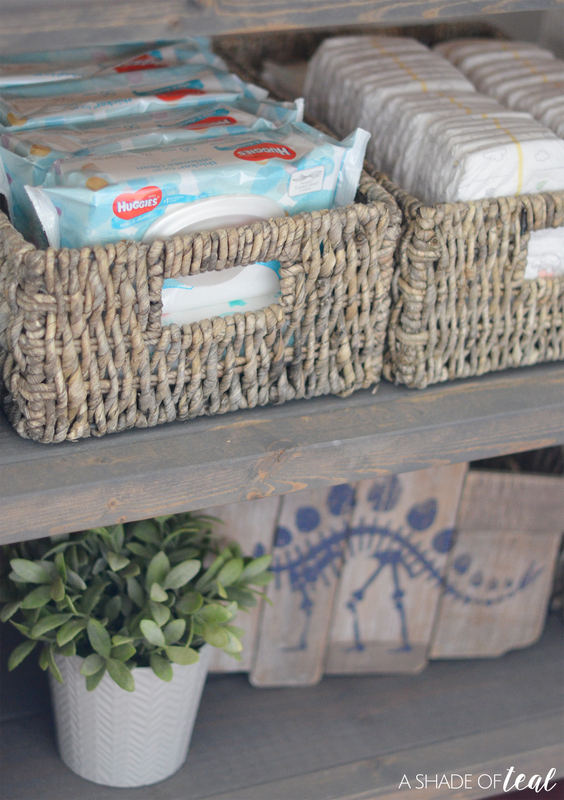 I also always keep a pack of wipes on top of my changing table for quick and easy access. 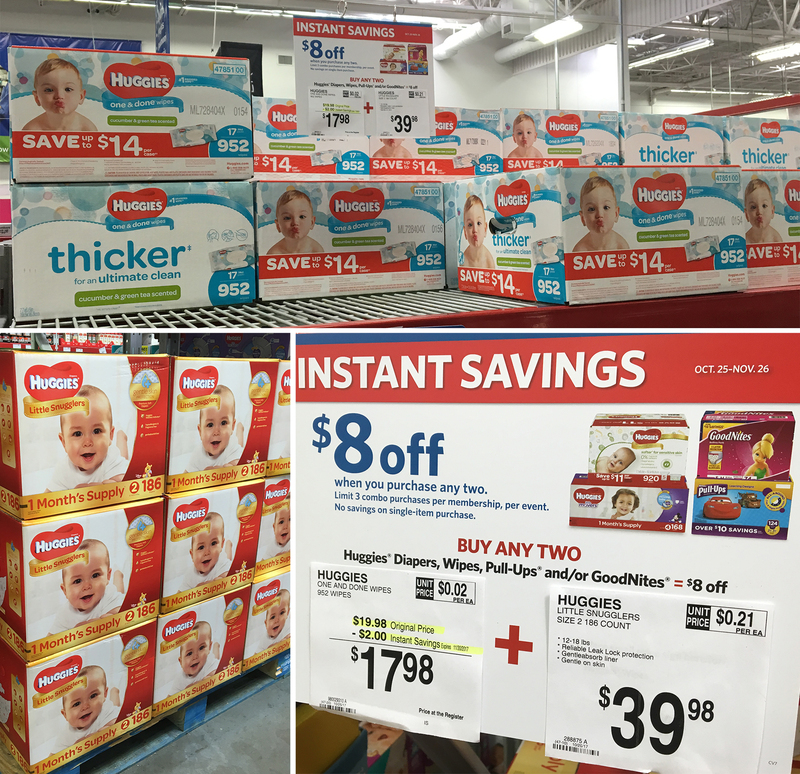 The great thing about stocking up at Sam’s Club right now it that you can enjoy instant savings on Huggies® items. You’ll find their products in the baby aisle. Buy any 2 Huggies at Sam’s Club and get $8 in Instant Savings. Valid 10/25 – 11/22. Get an additional $4 savings through Ibotta when you buy Huggies at Sam’s Club. I hope you’ll go stock up your changing table & diaper cart and take advantage of already low prices by shopping at Sam’s Club. Or if you know of anyone expecting, I’m sure they’ll love a box of Huggies® Little Snugglers! 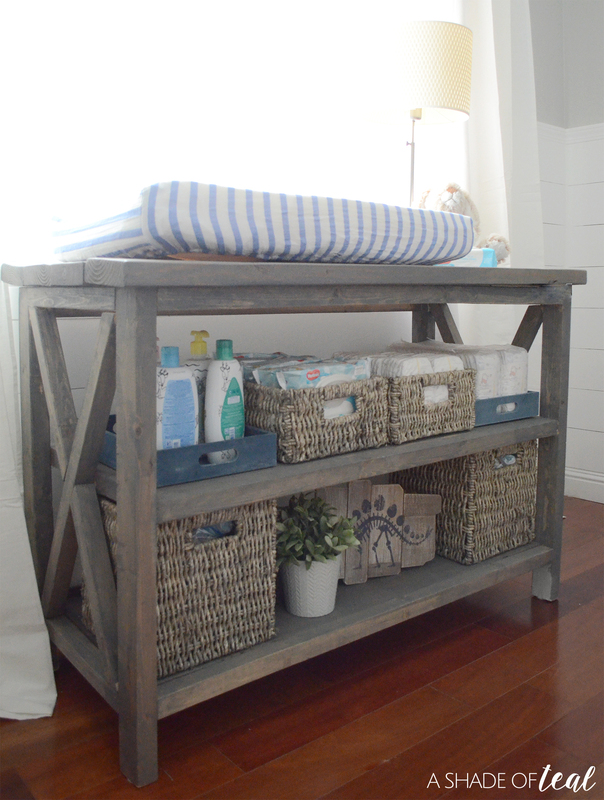 What else do you include in your changing table & diaper cart? I love the way that you say this up! It is adorable! Sam’s Club always has steals for so many things! They are a great option. I love how you set everything up, it’s so beautiful! I always loved Sams Club for diapers and things, but now I still shop there for other necessities. I love how you used baskets to make everything so neat. The cart is a great idea too. This would be perfect for the family room. I love your Rustic nursery. It is so cute and homey looking. Who wouldn’t love that in their home! My father built my three daughter changing table and we cherish them to this day. They have transformed as they grew, but they will stay with them forever. Yours is beautiful!! I wish I was this organized when my kids were small. Luckily I am for my grand kids now that I’m a SAHM. I love those baskets and of course who doesn’t love Huggies?! I love how organized you have everything. 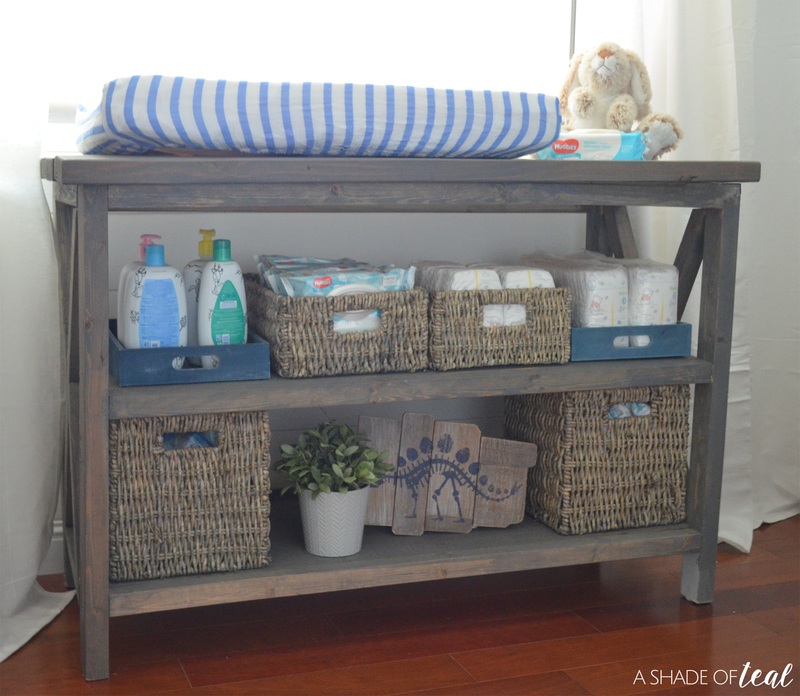 Keeping my changing station stocked was the only way I kept my sanity when my Kiddies were younger. They were 18 months apart and at one point both in diapers! It was crazy but knowing I always had what I needed on hand was a blessing. I love the way you have organised all things is really cute. In my home two kids around six months older it is really worth it. 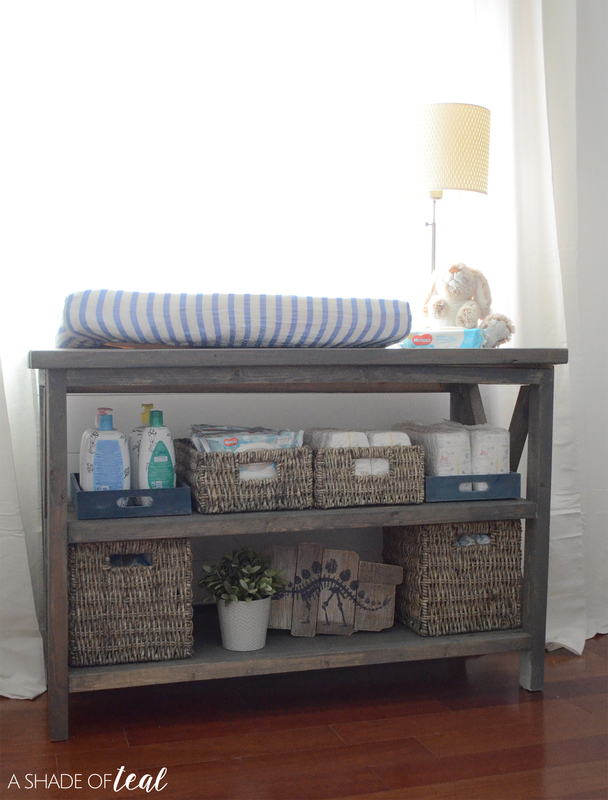 I love that changing table! My changing table for kid #3 was just a blanket on the floor lol.